A Sensory Friendly Performance will be shown at 11:45am on Tuesday, March 12, 2019. 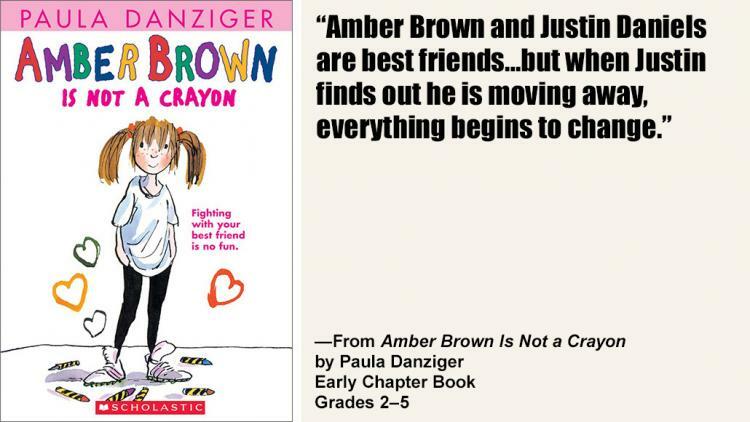 Based on the book, Amber Brown is Not a Crayon, written by Paula Danziger. Copyright ©1994. Published by Putnam Children’s Books, New York, NY. Presented under a special agreement. All rights reserved. Amber Brown is having what may be the worst year of her life. She and Justin Daniels were the perfect team: they laughed at each other’s jokes, sat next to each other in class, and stayed best friends when Justin’s dad had to move away. But now things are different. Now, Justin’s house has been sold and he is going to Alabama; that’s too far from New Jersey to think about. ArtsPower’s uniquely funny and forthright musical portrays a feisty young girl who refuses to let her problems get the better of her. You’ll laugh and cry with Amber as she learns some valuable lessons about the virtues of patience and the meaning of forgiveness.